why would the raizadas cancel a havan unless something was seriously amiss. and what might that be? she sat breaking the ends off french beans and removing the strings, part of her mind pondering the seasoning for the vegetable, whether it should be cooked as a dry sabzi or one with a little gravy. these were the everyday, seemingly inconsequential things that often helped garima cope with the harshness of life. she had grown up in a fairly well off home, was educated, never really had to live in want… however her parents died when she was very young, in class eleven in school she was at that time. her jiji, her only sibling, who was already married by then, did everything she could to never let garima feel the absence of parents. but that is never really possible. yet, when khoosie bitiya was born, an indescribable vibrance filled the void, the feeling of stillness that the death of her parents had left in her; which even after being married and taking care of a child she had not been able to completely overcome. 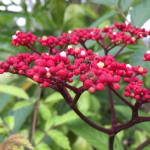 now there was a feeling of life bursting forth. yes, khushi’s cries, her smiles, her chortles, her very breath seemed to say life. life that never can be snuffed out ultimately. yes, she was that, she was khushi. then one day, death came calling again… garima sighed as she tugged at a string, and the faint aroma of raw beans filled the air… one day, just like that, both her jiji and jija ji were gone. accident. the word never would be the same again in garima’s head. she would have become incoherent with grief had it not been for an eight year old whom that very word “accident” gave her for keeps. khoosie bitiya, garima shook her head, she could feel a film of tears come over her eyes, what would she have done if her little niece hadn’t become her responsibility that night. payal bitiya had shashi ji’s dark eyes and her hands and feet were just like her father’s. the little sombre child had touched her heart when she first saw her, and to marry her father had seemed like the most natural thing to do almost as if that was how it was supposed to be. shashi ji was a good and kind husband, she was several years younger than him, but she had taken charge of his home when they married, happy to have a family of her own, her nurturing instinct completely awakened by the innocent dependence of a young child and an equally innocent trust in the eyes of the man who was her husband. he said he looked old, she felt he looked distinguished… in fact, and now garima giggled to herself, she had never told shashi ji this, but she found him handsome. she still found herself staring at him a little dumbstruck when he wore one of his new bright khadi kurtas, his complexion seemed to suit all sorts of colours. lucky man. no, he had never made too much money and there was always a shortage of that commodity… but still, garima knew this was a worry, a scarcity, she could live with… as long as her daughters and her husband were well and safe. garima’s thoughts went all round and came right back to frowning about khushi and what might be the problem at arnav bitwa’s home. what could possibly be the matter? and where was khoosie bitiya? she had not called, there was no further message from the raizada home. plus… garima stopped for an instant and looked at the framed picture of devi maiyya and other gods and goddesses on the wall of her sister in law’s house where she had her pooja altar. garima realised she had spoken out loud and grimaced. billo ji would never leave a chance to say something not nice. “would you like another cup of ginger tea, behen ji? i am making some for myself… you know that belief that you become dark if you drink too much tea, i hear it is absolutely a myth…” garima deftly changed the subject. shashi gupta lifted his head from the paper he had been reading sitting in the verandah outside. he had noticed the pensive look on his wife’s face as she fidgeted with a heap of beans, he knew she was fretting about things. now as he saw her bustling about making tea, her worry receding, he was glad they had brought their fairly irritating neighbour along with them. you never know from where good things might come. khushi’s legs were about to give way. she grabbed asr’s hair and tried not to collapse. his hand had just moved over her back and she could feel him bend and begin to pull her closer. what was he doing! her breath skittered and then started racing frantically. why was his body so adept at making her start and tremble. as it is she was suffering from acidity and she was feeling a little out of place. at this point, she really would have preferred to feel a little steadier. his lips trailed her long neck leaving soft featherlight kisses. khushi quivered and arched her neck and made peace with feeling unsteady. she couldn’t ask him to stop this. and since she was thinking so furiously, she was quite unaware that he had lifted her up by then and was walking into his room. it was only when he began to lower her onto the chaise longue that she realised it. she pulled him closer, resisting any distance coming between them; and she heard him chuckle softly… his breath fanned her throat, her chin, her lower lip. “mujhe chhorke jaane wali thi na tum?” he said huskily, and nipped her chin. “ooh!” she meant to yelp but it came out all dreamy and languorous. soon he was sitting on the chaise with her next to him, holding her in his arms. “just stay with me and don’t talk for a few seconds… if possible,” he said. she peeped at him from under her lashes to see what the matter was, he sat quietly looking out at the pool, his profile turned to her, she could see his glittering iris from where she sat, it seemed to shimmer and move, light dancing in it. she wondered why she felt good just looking at that. without saying a word, she tucked her hand in his and lay back. what a terrible day for arnav ji, khushi thought. 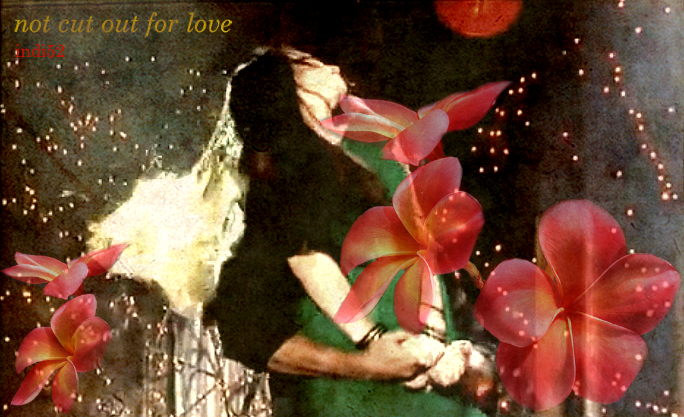 from the moment he had heard his di was out with shyam… khushi decided to drop the respectful “ji”… yes, from that moment till a few minutes ago, it had been a time of unrelenting tension and heart ache, in the middle of that he had had to act constantly to make sure everything was okay, anjali ji was fine. khushi shuddered as she recalled the sight of shyam standing next to a blindfolded di with a large pair of scissors in his hands. he heard her muffled words and felt the heat of her breath near his heart. and though he knew everything never becomes alright just like that, one has to work at it, all the time… even then it sometimes doesn’t mend… even then, he felt calmer and strangely soothed when he heard that. he had often laughed, and derisively, at this whole “sab kuch theek ho jaayga” thing. mami ji’s daily soaps rained and poured that line, he would say snidely they haven’t paid the writers, that’s why they repeat that one dialogue ad nauseam. di always made it a point to frown at him when he said that. mami ji made a face and grumbled things like, “arnav bitwa ka sirf realiteej se meanings hai, kauno phairytalewa se naaahin, hello hi bye bye, sab kuch naaahin theek huibe! okayj… my harvardwa ka grazzuate bitwa? !” then promptly rushed back to her endless serial. he felt his mind begin to let go and relax for the first time that day. just then there was a knock on the door. reluctantly, asr got up and went to see who it was. op stood outside, “chhotey saab, di aapko bulay rahi hai,” he said cocking his head as he usually did and speaking with that slightly embarrassed air. khushi blushed, why was the young man looking like that! what did he suspect! she had no idea that was om prakash sharma’s natural mien, of course. “memsaab ko ek adrak wali chai bana doh, op! 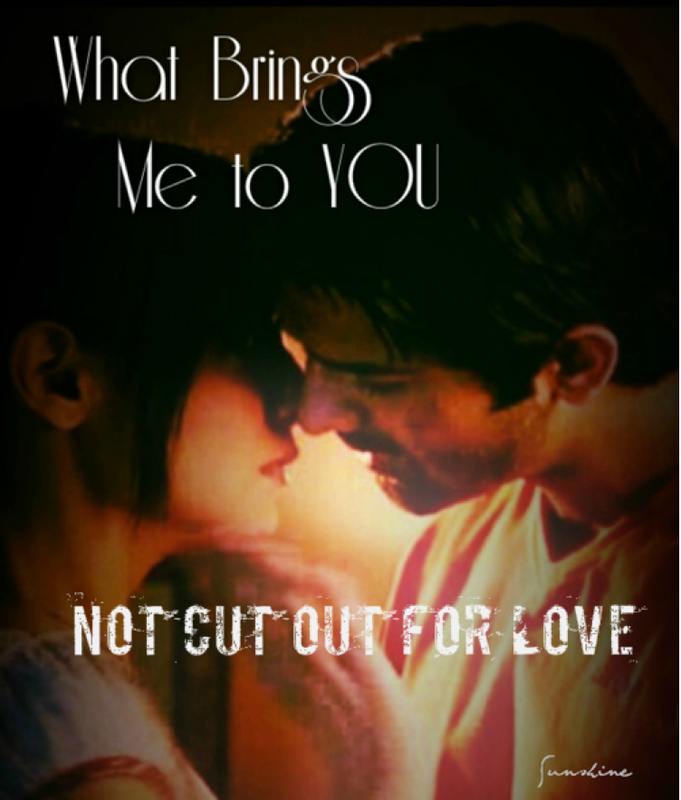 and put lots of sugar,” asr said peremptorily, turning away and walking back to khushi. “wait here, drink your tea… i’ll be back, ” he said in a terribly curt voice to khushi and swivelled around… he was out of the room before she could even begin to react. he was horribly tense, khushi could tell. then quite inexplicably he gave khushi a large smile and sauntered off. lakshmi ji followed him out, the bells around her neck clanging. he stood at the door for a second before taking a long breath and pushing it open. none of this was going to be easy. right from that evening, when he had heard khushi say she had seen shyam in bali, back of his mind he had known this was the beginning of catastrophe once more. and what took di into an arena of suffering and chaos, how could it not carry him to its gut and spleen too. di was all he had when everything finally came to an end in sheesh mahal. without her, he would not have survived, he was pretty sure of that. and she? please di, i am so so sorry, he heard himself say. no matter what one did, what was rotten in this would remain so. there was no way of mitigating that. ever. he walked in purposefully, looking like a man completely in control of things. his perfectly tailored silhouette with its trendy waistcoat, sleek grey tie, precisely cut pants and perfectly creased pale blue egyptian cotton shirt adding to that illusion, never letting him down. ever. inside, nani ji and mami ji sat by di, while the doctor wrote out a prescription. anjali lay supine on the bed, covers drawn up to her chin, eyes closed. when asr walked in, nani ji looked up at him, eyes brimming with worry. and he realised, along with di, the entire household would have to bear the brunt of this new storm. “mr raizada, good evening!” doctor nair was the city’s leading gynaecologist and obstetrician in the field of ivf and precious pregnancies. he was a man of about forty, with keen intelligent eyes and a pleasant demeanour, prematurely bald. “no need to worry, anjali and her baby are absolutely fine. i have done a scan… heartbeat is in order, no signs of distress… the only thing, anjali needs to rest and not worry about things…” he beamed at asr. asr felt a rush of relief as he heard that. the baby was ok and so was di. a tight smile appeared on his lips and was gone quickly, he nodded briskly at the doctor. “i don’t see mr jha here, give him my regards… i’ll take your leave then, mrs raizada… anjali, my dear, you must take care and be a good girl, okay? no running around with all your pujas and things, promise me?” the doctor smiled at his patient, obviously fond of her and quite well versed with her routines. he turned to nani ji and did a namaste. asr thought he saw di’s eyelids flicker when the doctor mentioned shyam. he swallowed involuntarily. “thanks, doctor, i’ll see you out…” he began, but doctor nair was out of the door by then, waving cheerily and signalling to him to be with his sister. with that, the matriarch left the room taking her still shaken daughter in law along with her. when the door had closed behind them, asr went and sat on the edge of the bed next to his sister. her eyes were still shut. “di!” he called out. desperate to talk to her, hold her, make her feel okay… he could take practically anything but di looking so wan and pale was unbearable really. when she didn’t answer he was about to touch her shoulder and give her a slight shake, when he saw water rush to the corner of her eye and roll down suddenly, in a single continuous stream. he felt something break in him at the sight of that and with a little groan he clasped her to him, burying his face in her lap. “chhotey, i’m talking to you…” when anjali’s voice finally registered, he realised he had been so anguished, he had not heard her speaking to him. he sat up with alacrity. di’s voice sounded so small. she was beginning to sit up slowly now, her face looked tired, but at least she had opened her eyes, spoken to him. he lifted her right hand up convulsively in both his and brought it to his heart. he had no idea what he could or should say. brother and sister sat looking at each other for a long moment. “di, main… main… you know… there was no way… no…” he tried to tell her how he would have done anything to save her this hurt, but he couldn’t… he felt assailed by his own helplessness, a bitterness riding up in him. “chhotey…” anjali started again and then she burst out crying. he caught her in his arms as she broke down, just holding her, crooning softly, stroking her head, letting her weep all she wanted to. he wished he were a better brother and had known shyam was not to be trusted right from the beginning. a sense of failure came and plagued him. his lips tightened, he gathered anjali even closer and rocked her gently. no matter… he was here now… he would take care of her. she sat looking down, toying distractedly with the bedspread and the covers. her breath held whimpers in them he could feel. she was crowded with tears inside. asr looked up, a sudden memory catching him. “no, no… i was speaking to akash, she happened to be in his office… why didn’t you tell me chhotey it was a white suv that hit her?” anjali looked at her brother with much more than a simple question in her eyes. he said nothing, he held her hand and let the moment pass. “di, i didn’t want to worry you…” he said. “i know, but there are some things i want to worry about…” she countered, then she took a deep breath as if coming to a decision. asr held both his sister’s hands and tried to stop her, he could see this was getting harder, he didn’t want her to go through that… there was enough pain she had to deal with already. “di… no need to talk about all this…” he said gently. asr looked into his sister’s eyes at the very moment she said maa. some memories, some pain are there to stay forever. he opened his arms wide and let anjali come to him. they sat together for a while again, not speaking. asr found himself sinking down to the floor beside her and again cradling her in his arms, he had loved his father too… he never could stop. but he never could believe in love or marriage after what happened to his mother. asr stroked her hair, waiting for her to get some sleep. asr recalled the night that turned their lives upside down, di had been dressed up as a bride… no no not dressed up, she was the bride… and then suddenly everything was over. his di’s wedding never took place. how he wished he could change that night and make it beautiful instead… flowing deep dark beautiful. shards of pain hit the back of his eyes. “i am okay, chhotey… yeh jo hain na?” she again touched her belly, “she… or he… fills me with feelings i didn’t even know i had… i am breaking inside, yet not… as if something is telling me to hold on… ajeeb ek ehsaas!” she was beginning to drift off, then suddenly she got up and sat again. “call khushi, chhotey, i want to talk to her!” anjali said. asr looked at her for an instant then got up and went to fetch khushi. she was standing by the poolside looking tense. he walked up to her briskly, caught hold of her hand and started walking back with her. “arnav ji! where are you taking me?” khushi squealed. as they entered di’s room, khushi grew nervous, but anjali gave her a lovely smile and patted the place next to her on the bed. “namaste, khushi, come here… ” khushi sat by her and smiled wondering what she should say. “anjali ji, hum…” she started looking for something to say, slapping her head in her mind, thinking: sanka devi, how come you talk so much but when you need to say something you are in such a mess. “anjali ji, hum… i am so sorry, i didn’t mean to cause trouble, but i am so sorry i told arnav ji i saw shyam ji that evening in… in bali,” the moment khushi said the words she knew that was not what she had wanted to say at all and it was such a wrong time to say it. khushi looked at anjali aghast. anjali was staring at her, her face pale. her eyes glinted. khushi thought, that’s just like arnav ji. the glint. asr stood quiet, rock still, looking at both women. “so it was you,” anjali whispered. khushi wished the earth would part and swallow her up right then and there. “h..aa..an!” she stammered, scared but now there was no escape. to her shock, anjali smiled tremulously, tears coming to her eyes. “i knew it!” anjali said under her breath. asr looked at her blankly but he knew she referred to the practice of carrying one’s new bride over the threshold that his family had long practised. and he remembered carrying this stranger with large pink pompoms in his arms. her head nestled against his heart. “you are the one, really, that is meant for him, khushi… you bring happiness to my brother’s eyes, you make nani ji feel close to her home, you even talk to lakshmi ji… but you know, this says to me something else… you protect us… you are the one who… who…” anjali shook her head. khushi started crying at that moment. such a terrible terrible mess. khushi’s eyes flew to him, startled. marry? now? in the middle of all this? asr signalled to her with his eyes and a quick shake of his head not to say anything. anjali smiled and turned in his arms, in minutes she was fast asleep. arnav singh never balked at any difficulty or challenge, going ahead and facing whatever had to be faced, always. but how do you tell your grandmother who has been through so much that the grandson in law she trusted as a son is a cheat? possibly a murderer? or for that matter tell mami ji who doted on anjali as though she were her daughter that the man whose child she carries is completely untrustworthy, he runs off to far off places to meet a woman regularly? once before his family had suffered all the heartache and misery of infidelity… and the ruinous results of it. asr braced himself and looked at everyone as they sat in nani ji’s room. khushi stood quietly at the door. khushi walked nervously in and sat down. “i can see this is something to do with damad ji… he is nowhere to be seen…” mama ji looked at his nephew and waited. asr was grateful to his uncle for mentioning shyam. once the first step is taken, easier to take the next. and he told them the bare details as swiftly and succinctly as he could. he knew he could not reduce the pain this would bring, so he didn’t try. at the end of almost an hour and quarter of talking, when it was just past eight in the evening, he got up and said, he’d take khushi home and then go to the office. no need to wait him for dinner, he’d grab a bite there. khushi’s head was reeling by now. she was amazed when everyone said, yes, the wedding must go on. she wondered how this was even possible. but was too confounded to ask and anyway, she was not going to disrespect her elders and refute their decision. she decided she would talk to amma later. and she felt really bad for arnav ji that no one seemed even slightly surprised that he was going to the office now, nor that he would not be eating dinner at home. she sat quietly next to him all the way to lakshminagar. he didn’t speak either. he seemed drained and in a rush to get to work. he drew up outside her home and she was about to take off her seatbelt when he leaned over, put a hand behind her on the back of her seat blocking her way, then he planted a hard, swift kiss on her lips, and undid the seatbelt. khushi felt her heart do several crazy antics. and she had this weird feeling that his eyes wanted to say thank you to her. she again hit her head hard in her mind and said to herself, pagal hai tu, parmeswari, woh laad governor tujhe dhanyavad, khushi ji, bolega thodi! at bua ji’s place, everyone knew what had happened. akash ji had called jiji and told her about di, about shyam ji and about the wedding. “khoossie bitiya,” amma asked, “anjali bitiya is okay, isn’t she? you spoke to her? did she look alright?” khushi was astonished at how amma knew what was the most important thing to address when so much seemed to be in turmoil. “haan, amma, she is fine… and she… amma! you know what you say about women who are carrying a child in them being strong… i think you are right!” khushi blurted out. khushi realised bua ji had been the most worried for her. she looked at jiji and winked, jiji made a face at her. khushi looked around, “where’s billo mausi, amma?” she really did not want billo mausi to know about shyam ji and everything. billo mausi was a gossip and the thought of people all over gomti sadan and even here talking about anjali ji… di… filled her with horror. “haw, babu ji, you are very clever,” khushi grinned, relieved, “but yeh kya, i haven’t seen the new salman ji film yet, and billo mausi…” she pouted. “paglay gayi hai…!” bua ji sighed under her breath, but the strain of that fell directly on her om locket, which shook violently, just below her shuddering triple chin. garima looked at her daughter without speaking for a bit. khushi nodded in reflex, without even thinking. “does he make you happy?” asked amma. again she nodded. she knew this was not true, but her head refused to shake and say no. “then does it really matter if you marry now or when things are calmer?” garima was traditional in her thinking, she would rather not change the date of the wedding once it was set, unless absolutely necessary… so she was in fact relieved to hear that the wedding would not be postponed. and she also knew her daughter’s mind sometimes better than her daughter. “khushi, you want to be his wife as soon as possible, don’t you?” she asked casually. khushi succeeded in her battle with her head this time. she remained stock still. no! she was in no rush to marry that laad governor kahin ke. how hard he had kissed her. it had been a long and hard day. asr was still feeling its tremors deep in him. his biggest concern was di. he could see she was trying to cope, but she was in such a frail state. he could feel tension tauten his shoulder muscles, there was a dull ache lodged in his torso somewhere, how would he solve this whole thing. and di… what about her… he would always take care of his sister and her child… asr felt a funny joy at the thought of a niece or a nephew. he wondered what he’d prefer, then told himself not to speculate, but by then he had already imagined a little girl with di’s eyes and her bossy ways. he was quite immersed in the collection, wondering if they were missing any opportunity here, when he felt it. he went absolutely still… an uncanny feeling passed over him. he knew it even before his mind said it. not she… khushi. again his heart corrected him. but how could that be? it was almost ten at night, he must be imagining things. he tried to go back to his papers. there was a soft knock on the door and as he looked up, now quite sure he had not been mistaken, khushi walked in, a large tiffin carrer of bright stainless steel in her hand. he looked at her silently and felt something pass over his heart… and fill it with a light peace. easy, smooth, and quiet. he didn’t get up, just sat looking at her as she advanced slowly into the room. so much had happened today. but this seemed to be the moment it was all coming to. khushi watched her arnav ji sitting alone at his desk. she had been watching him the whole day she realised, managing so many things all by himself… everyone in his family depended on him… his sister knew whom to trust even though she knew whom she loved… nani ji, mami ji, mama ji, akash, everybody looked to him to set things right, to manage. khushi wondered who took care of his feelings when he ached. she wondered why she wanted to be that person. again her mind gave her a whack and said, stop being filmi, you know why. something in her wanted to rush over and hold him and tell him, it was okay, she was here, he could tell her about everything, she was here, for him, hamesha… always. khushi rarely questioned her heart when it spoke. it was only her recalcitrant head that she had to mind at times. when she reached the desk, she put the large gleaming tiffin carrier on his desk. he felt something welling up inside him, he sat back and smiled at her lazily, “uh huh? tumhe kya faraq padta hai?” he teased. her lips tightened, her eyebrows danced up and down, her eyes got a snarky look, she said tartly, “koi faraq nahin padta, samjhe aap?” and started taking out the food. there was light playful laughter in his eyes. his lips had moved to a baiting slanted smile… and he looked so gorgeous sitting there looking relaxed, khushi felt her palms go warm and begin to perspire almost. her heartbeat practically stopped. 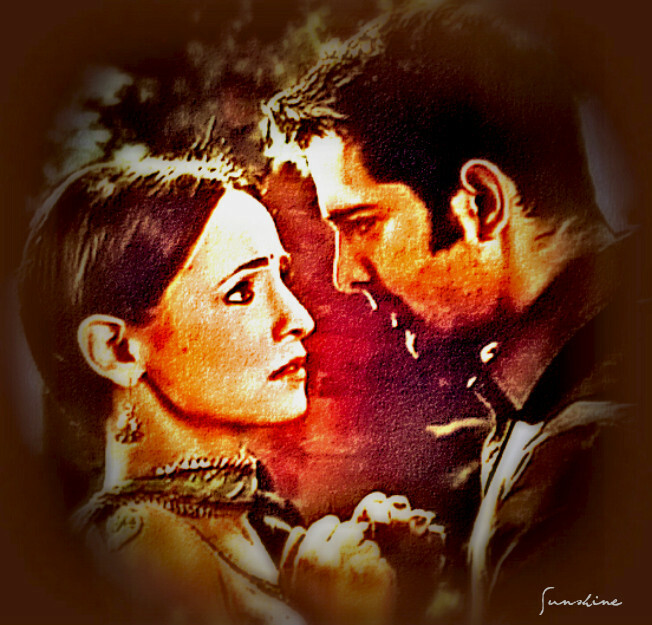 “feed me, khushi kumari gupta,” he said again, grainy, velvety voice, she felt it touched her ear and nuzzled against it. she picked up the plate and walked around the desk. without looking at him she tore off a piece of chapati, scooped up a little french bean and potato sabzi with it and held it out to him. when she felt his teeth catch the little morsel in her hands a funny sensation went up her spine. then his lips were on her fingers, and the touch of their warmth and wetness, she wanted it to stay there but it left and she automatically went and readied another scrumptious bite for him. soon two chapatis were over, she had been looking at him as he ate, a curious satisfaction in her. when he was done, he sat back again and smiled slightly at her, she was about to get up to go wash her hands when he reached out and held the hand she had fed him with, brought it to his lips and very gently kissed her fingers, sucking the tip of each finger in slightly. the warmest tenderest touch. khushi could feel butterflies in her stomach, her heart leaping wildly and a buzzing in her head. there were goosebumps even inside her ears she thought. hey devi maiyya, why did this man have this effect on her? and why could she not just stay away? but before she could get answers to such crucial questions, she found a neatly and precisely rolled little bite of chapati in front of her face. arnav ji was holding it. her eyes became saucer like in an instant. he smiled. she quickly grabbed the chapati with her teeth before a scream left her mouth. she made sure she touched no part of his hand or finger as she did so. as he bent closer and khushi felt her lips get ready for his touch, she was happy that he was beginning to look less tense. the problem of shyam was not over yet, di was still very troubled, so was she, but at this moment, what she wanted to see was a demanding, khadoos laad governor and he seemed to be right here. he grabbed her suddenly and she was half lying across his desk as he kissed her most thoroughly taking his time. khushi thought she was seeing things when her eyes fell on a whole bunch of refulgent red frangipani in a vase on a shelf by his desk. she blinked. “jwalamukhi!” said khushi’s never still mind. All the characters in this story are beautiful, real. Bua ji, Garima, Shashi, Payal. As much as Khushi, in her dramatic fashion, might consider what she thinks of as sacrificing herself… there is not even a hint of such an expectation from the people around her. Rather what is so lovely to read is how they seem to know her heart better than her. True parents! They have met Arnav and they have zeroed in on his importance to her, whether she verbalizes it or not. To me, clueless parents are a complete mystery, something that I can not understand. Whatever is going on in a child’s life, however grownup a child, parents know. So Shashi and Garima, in their very simplicity, are a joy to read. And Bua ji, the way you have described her feelings for Khushi… from her initial… I will love my own niece more to the Sanka Devi became the child of her heart. No wonder your Khushi turned out the way she did. Even with the horrible loss in her life, she is one lucky person. Bill Mausi notwithstanding. Thought I love the way how her Rajat ji carries her as well. Now to Anjali. I was worried that Shyam might have been successful in sowing the seeds of dissension between the two siblings and also sour Anjali and Khushi’s relationship. But once again, I was blown away by what happened. Anjali’s faith in her brother could not be shaken… and with their shared history, that is as it should be. And yet at the same time, her loss is real. Everything can not be ok in a second. And then her acceptance of Khushi as the one who is meant to be for Arnav. I fell in love with this character, who I thought was likable in the show and yet weak, so weak. I love your understanding of your characters. I love the space you have given them to grow. I love how each and every one of them is finding a definitive place for themselves… See random thoughts keep popping up. Payal and Akash’s wonder at being called Badmash, actually liking it. Whenever I think of that I laugh. thank you again. do you even know how good you are for my mad want to write self? you notice things that i wrote because they came to me, little details, character traits… yes, parents sort of sense their kids and get to the heart of things, don’t they. bua ji… i always loved her character, and her slightly out of control love for the orphan girl who ambushed their life one fine day and stole a whole tonne of love. there’s always a palpable, rumbling, noisy thing that bua bhatiji love. the giver of many names to her niece, the woman who would never name her own child… relationships always zonk me. anjali, i so enjoyed her character when ipk started, i usually want to rudely shake people who go around stroking cheeks gently and talking softly, but anjali was so real… had to give in. then came the royal messing of her character. here i was sure she wouldn’t go the way she did there, but wasn’t clear as to where she would go with it all… she sort of went this way as i considered her life, all she had been through and who she was… there was always a sense of strength in her, she did lean on a brother she trusted implicitly, but she was not weak really. and she had a mind of her own. have fun, thanks for the notes. I have to say that your characters are more real and lovable than the show..In fact you justified the characters brilliantly and delivered it better like the Lovable Buaji ( can I say elder drama queen, I guess khushi learned from her 🙂 ), mature Garimaji , Doting Shashiji..
Again Anjali’s ways of dealing is more mature..She proved her trust on her chote came first and understood the reality..She knew the pain will be there..yet she graciously accepted that it will take time and treated khushi nicely..After the kidnap&confrontation I too wondered why did he work now??!! The dinner scenes are soothing like a breeze..
thank you. i guess the writers of the show, the makers face things i don’t have to and that interferes with everything. when you have weekly trp assessment and channel is breathing down your neck, good writing will suffer. though i do wish, they’d come up with better solutions and not ditch characters. also, there was such authenticity thanks to the acting, by everyone, i think it helped us read characters even beyond the messy writing. anjali and akash and payal though i wish they had thought a bit more sincerely about. and yes, was there any need to make khushi so achhi bahu? In my wish of having best for our favourite story I forgot how people worked hard to achieve it and trp dramas..That’s a wistful thoughts of having all of my what ifs list..
Ofcourse Khushi’s good bahu act did it’s best to irritate me..
that good bahu act, so unnatural and forced. uff.